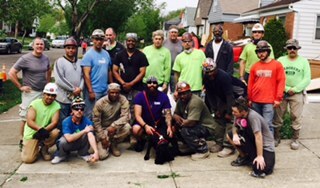 We are teamed up with John G. Johnson Company and other leaders in our community to restore a home in South Euclid that was donated by the Cuyahoga County Land Bank. 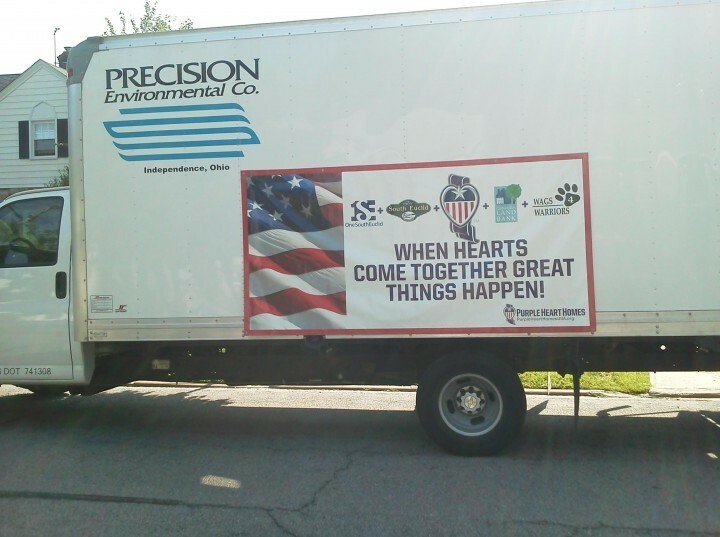 Precision will be donating our mold and sealant services. 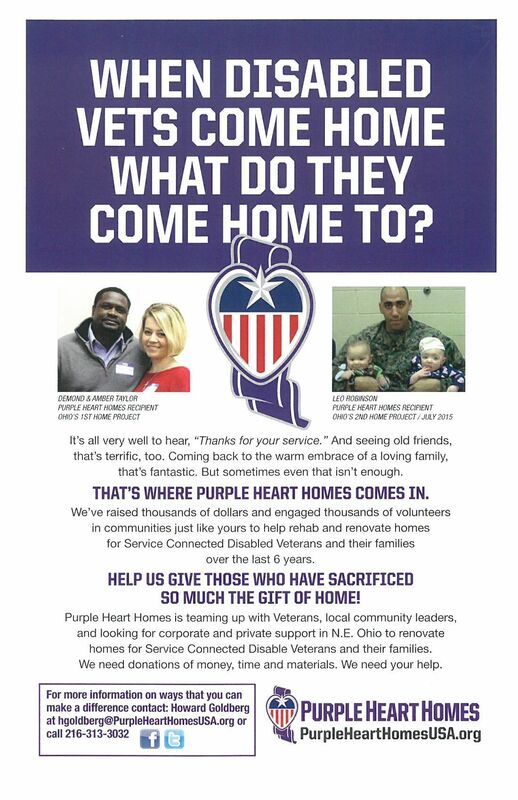 The recipient of the home is Corporal Leo Robinson, USMC. He felt compelled to serve his country after the September 11 tragedy. Once his training was completed, he was deployed to Iraq, and then on to Afghanistan. No one knows what happened to Leo while he was away at war, but every day is a challenge for him. The hardest part is just waking up and getting out of bed. 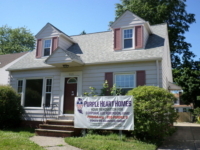 This home will be a stable environment for him to live in and give him a place that will meet his needs. 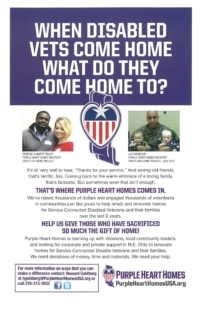 The Purple Heart Homes Organization was founded by Dale Beatty and John Gallina in Statesville, North Carolina in 2008. National Guard Veterans that inlisted in 1996, Beatty and Gallina's lives were forever changed in 2004 when the vehicle they were riding in struck an anti-tank mine. Following the explosion, Gallina suffered tramatic brain injury and extensive damage to his back, while Beatty lost bioth his legs. 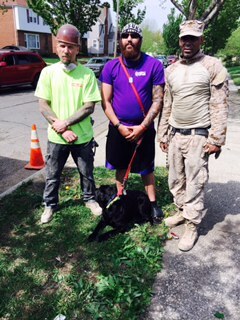 As a result of the life altering injuries, the two gentleman have dedicated theier lives to helping provide adequate housing for veterans with service-connected disabilities. 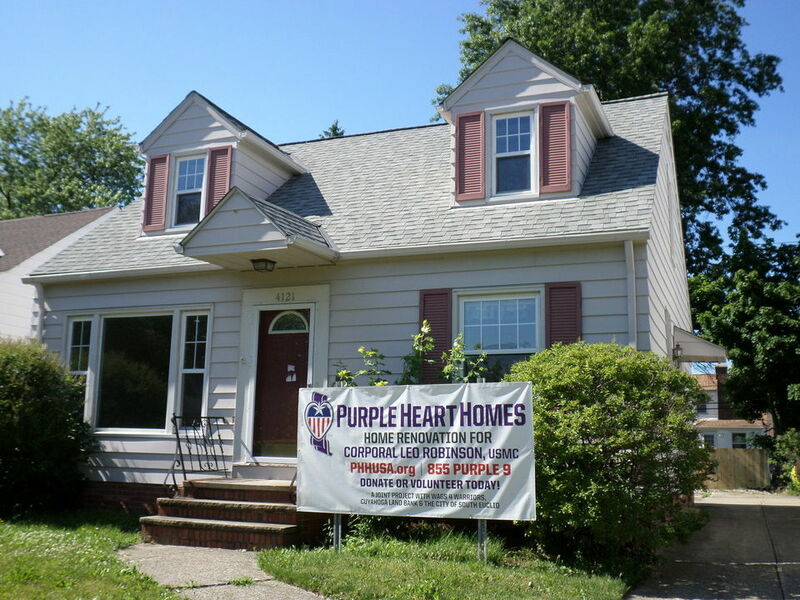 In addition to the Greater Cleveland projects, the organization also has homes being renovated for veterans in Georgia, Connecticut, West Virginia, Kansas, Arkansas, Wisconsin and Florida.